He is considered as the father of the digital revolution, and massive innovation and a design perfectionist. He hands a net worth of 8 billion dollars in 2010. There is not a single executive or creator in the technology industry more important than him, He is one of the most creative and daring CEO of all time. A global icon who shoke the world of technology and media. His products are adopted by millions of people across the world. A company that he started in the garage is worth more than 742 billion dollars today. For over 30 years computers, music, movies, and mobile phones have all been transformed by none other than Steve Jobs of Apple. Here we going to discuss the fascinating journey of one of the most loved entrepreneurs of all time Steve Jobs. "The people who are crazy enough to think that they can change the world are the one who really does. "Your time is limited so don't waste it living someone else's condition. "Don't let the noise of others opinions drown out your inner voice and most importantly have the courage to follow your heart and intuition." 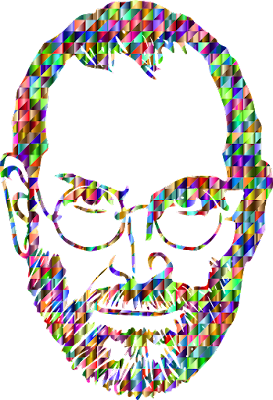 Steve Jobs was born on February 24th, 1995 in California his natural parents did not want to parent him so they gave him up for adoption his new parents named him Steven Paul Jobs and the continued living in California in the area that would later be known as the popular silicon valley, Steve Jobs' early life was a struggle of identity. 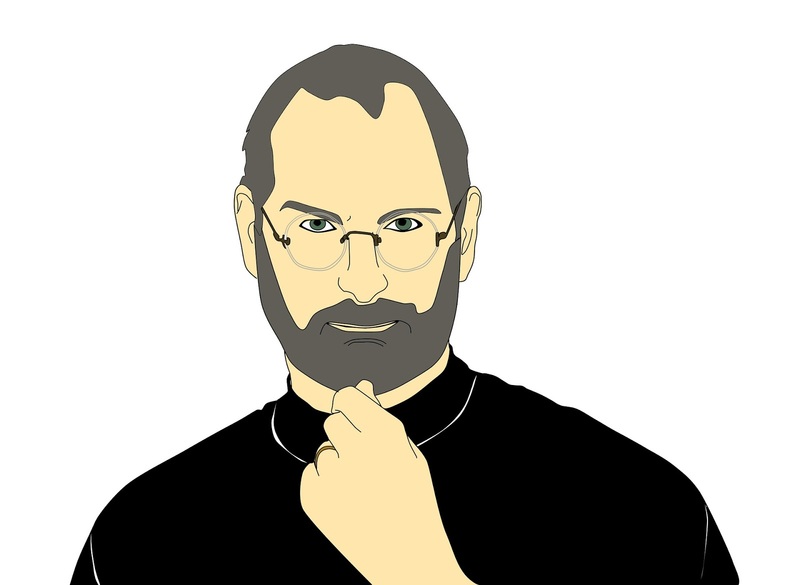 Jobs learned about electronics working with his father while they used to spend time at garage Jobs didn't like traditional schooling, Apart from a few selected subjects, Steve Jobs was much more interested in pranking phones, computers, creating innovative business ideas. While Job was enrolled at Homestead High school he was introduced to his future partner Steve Wozniak who was attending UC Berkley after high school Jobs enrolled at Reed College in Portland, this was an expensive college he sometimes sold coke bottles to make money in order to save money on eating he used to have food at the Hari Krishna Temple, he used to feel like he was being a burden on his parents because college is really expensive and his parents were not that rich Steve dropped out of college after six months he then spent the next 18 month exploring different creative pursuits. In 1974 jobs got employed as a video game designer with Atari but just a few months later he left the company and went on a journey to India to find spiritual enlightenment and even ended up with experimenting with drugs. When Jobs was 21 he and Wozniak started Apple Computer in the year 1976 they started this in the family garage selling off whatever they had and invested all that money which came from it which is about 1750 dollars, seeing their hard work soon they found a small investment of 250 thousand dollars from mark Mccullough 80,000 dollar was in equity and the remaining in loan. In 1980 Apple computer went public with a market value of 1.2 billion dollars by the first day of trading now Jobs had the fund to set his eye at recruiting even better people so he tried to recruit even better people so he tried to recruit John Scully from Pepsi Cola as CEO, After some year IBM suddenly surpassed Apple in sales, In 1985 he was forced to leave Apple. So, he started a new hardware and software enterprise called NEXT the following year Jobs purchased an animation company which later become Pixar Animation Studios Jobs initially fund 50 million of his money in Pixar Animation Studio. Toystory, Finding Nemo, The Incredibles are films that came out of that studio and have collectively netted over 4 billion dollars the studio merged with Walt Disney in 2006 making Steve Jobs Disney's largest shareholder, Apple brought NEXT in 1996 for 429 million dollars and got Jobs to return as CEO of Apple with a new management team altered stock options as a self-imposed annual salary of dollar one a year jobs put Apple back on track when they launch the iMac which becomes a huge success, in 2003 it was found that Jobs had a rare but operable form of pancreatic cancer but instead of immediately opting for surgery Jobs tried to alter his diet and Eastern medication for nine months but then later had surgery. Apple later released such revolutionary product as MacBook Air iPod and iPhone which become a huge success. Apple has 18 billion dollars plus in the bank with zero debt in 2007 and ranked 1 on the Fortune magazine's list of America's most admired companies as well as number one among fortune 500 companies for returns to shareholders. On October 5, 2011, Steve Jobs gave in to the disease and died at the age of 56 going by what he said "being the richest man in the symmetry doesn't matter to me going to bed at night saying we have done something wonderful that's what matters to me."